Comment: Currently have brick walkway and front steps that are deteriorating. Need to replace. Comment: Would like estimate to replace driveway (and possibly enlarge). Comment: I would like to get an estimate for installing a pad and for a driveway. Also for a concrete pad in the back yard for another garage. Delaware Lawn & Tree Service, Inc.
Wilmington Concrete Contractors are rated 4.68 out of 5 based on 1,110 reviews of 50 pros. 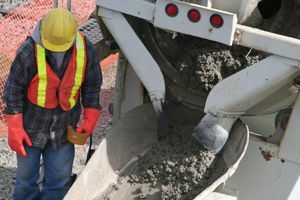 Not Looking for Concrete Contractors in Wilmington, DE?